This Indian Head has all the important details, but it does exhibit obverse scratches, with an interesting silver-ish tint. It could be an interesting addition to your collection. 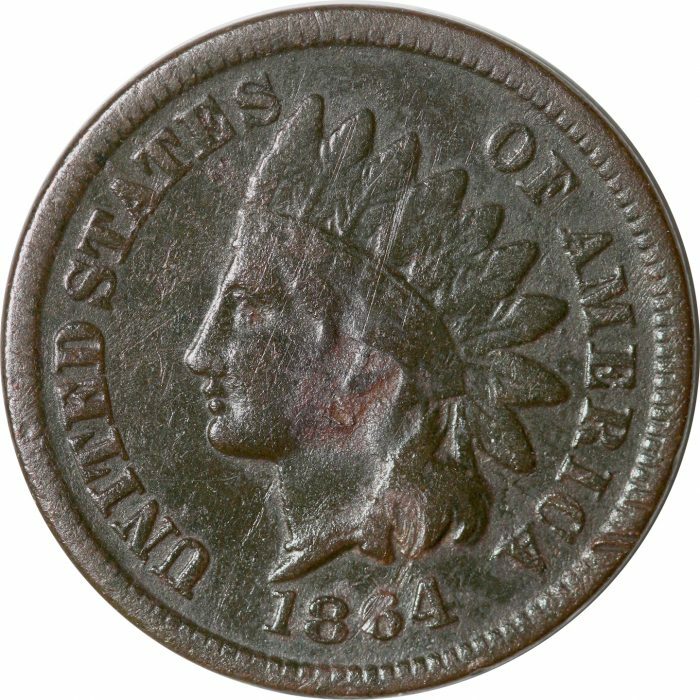 The Indian Head one-cent coin, also known as an Indian Penny, was produced by the United States Mint from 1859 to 1909 at the Philadelphia Mint and in 1908 and 1909 at the San Francisco Mint. It was designed by James Barton Longacre. The obverse contains the head of Liberty wearing a feather head dress of a Native American. From 1860 until the end of the series the reverse featured “ONE CENT” within a wreath of oak and olive tied at the base with a ribbon with a Federal shield above.